Technology is an important part of everyone's life. The first thing we do when we wake up is reach for our phone and check Facebook, Twitter or Instagram. 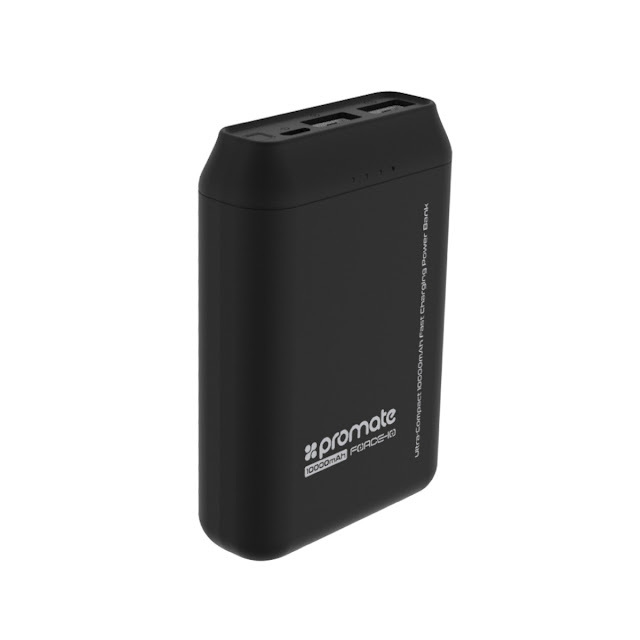 We also need to charge our gadgets regularly and protect them from drops and bumps. 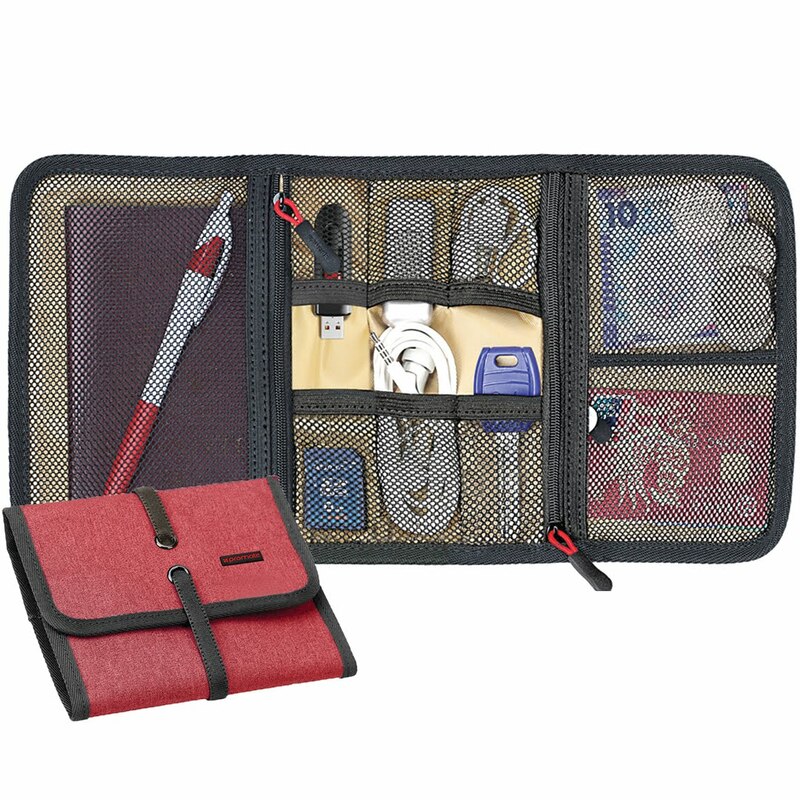 Gadgets and accessories are also perfect when we travel or are on the go. 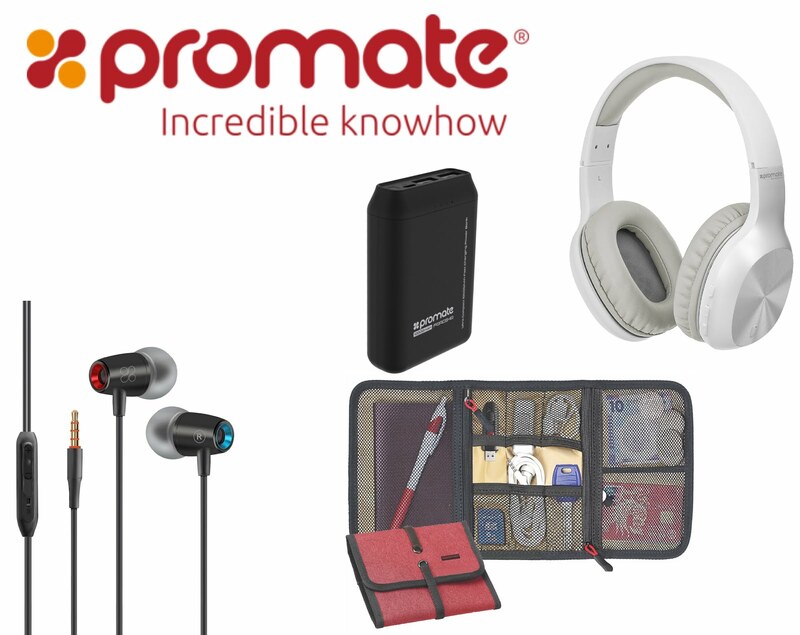 If you're looking for gifts for techie friends who are always on the go, you can't go wrong with Promate. 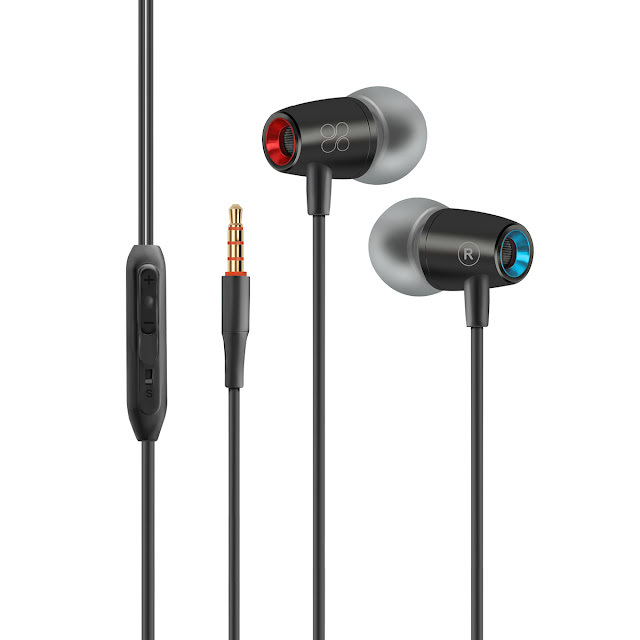 These earphones have an optimally tuned acoustic design that promises a superior listening experience, whether you are on Spotify or watching movies and TV shows on Netflix. 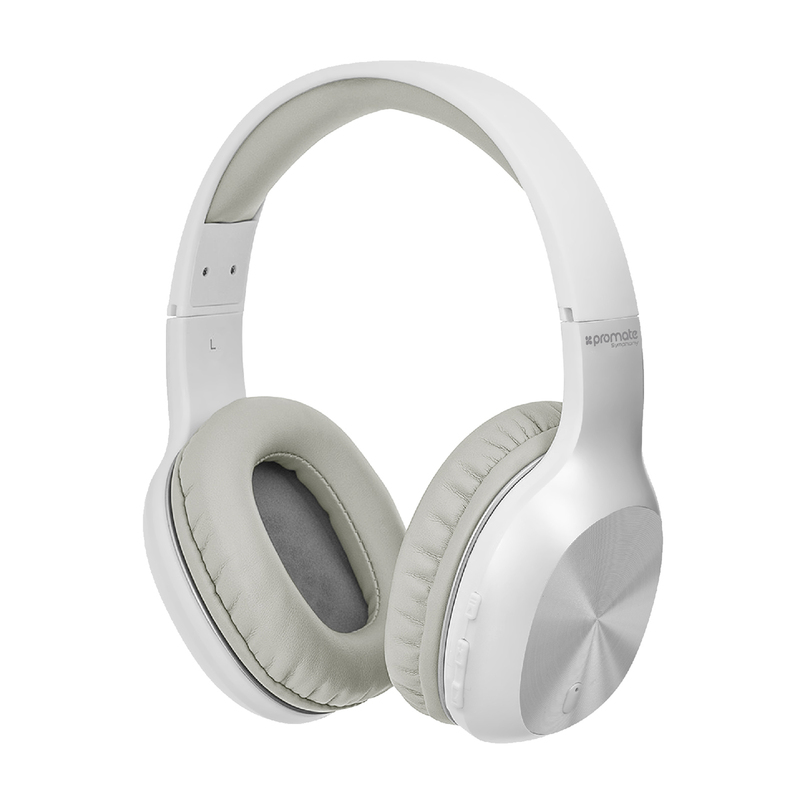 They're light and perfect for the on-the-go lifestyle. The line-up of Kapamilya stars was led by actress, TV host, and the Ultimate Multimedia Star Toni Gonzaga who will continue hosting the recently launched program "Pinoy Big Brother Otso." Elated that she will still be a Kapamilya for the next two years, Toni shared, "I feel so at home. I'm very grateful for the opportunity to still be working with ABS-CBN and, of course, to be with my sister, parang bonus lahat." Her sister Alex Gonzaga also renewed a two-year contract with ABS-CBN and is also hosting PBB. Along with the Gonzaga sisters, Chinita Princess Kim Chiu is also hosting PBB Otso and is also looking forward for an upcoming teleserye and a movie set next year. Kim feels nothing short of ecstatic after signing her two-year contract with the Kapamilya network. "It feels really good to renew your contract and sabihan ka ng mga bago mongprojects. Nakaka-inspire magtrabaho at patuloy na magbigay saya sa mga tao." Singer, dancer, songwriter, actor and TV host Billy Crawford, on the other hand, will continuously host for the Sunday noontime variety show "ASAP." Fans can also look forward to seeing him in the upcoming Kapamilya programs such as "World of Dance," "Philippine Idol," and "Pilipinas Got Talent." Billy shared that being a Kapamilya, for him, is an honor. "It's always a blessing when your family still wants you. It's an amazing feeling to be part of ABS-CBN." Kapamilya actor Gerald Anderson also expressed his excitement for his new teleserye entitled "Take Life." Gerald plays the role of a soldier in the said soap opera. He also feels blessed to still be a Kapamilya after 12 years since being a PBB housemate in 2006, "I'm just very excited, blessed, and grateful na bininibigyan pa rin ako ng opportunity to stay dito sa ABS-CBN." "Halik" star Sam Milby also strengthened his ties with ABS-CBN. "I'm enjoying the role of being a bad guy," Sam quipped. Meanwhile, Kapamilya heartthrob Arjo Atayde is busy taping for the drama serye "The General's Daughter" top-billed by actress Angel Locsin and Diamond Star Maricel Soriano. Actress Erich Gonzales, whose teleserye "Blood Sisters" ended a few months ago, is also looking forward to the exciting projects lined up by ABS-CBN for her. Kapamilya actress Cristine Reyes, who currently stars in the serye "Precious Hearts Romances Presents: Los Bastardos," also inked her two-year contract with ABS-CBN. 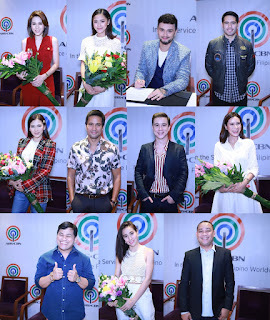 Completing the roster of Kapamilya stars who recently signed their contracts with ABS-CBN were talent manager and Kapamilya comedian Ogie Diaz and "Banana Sundae" mainstay and comedian Jobert Austria. 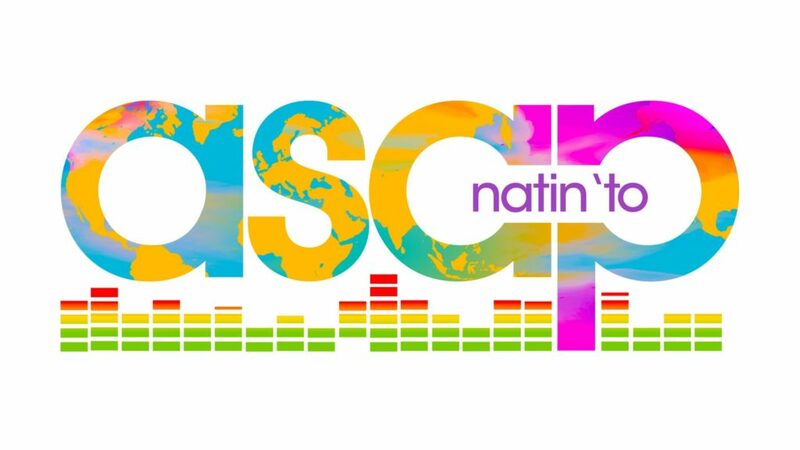 After 23 years of being the regular Sunday entertainment habit of every Filipino, “ASAP” opens the stage to celebrate stories of hope, love and inspiration from Kapamilyas all over the world on the new “ASAP,” now called “ASAP Natin ‘To!” starting Sunday, November 18. The celebration of real stories and real people starts with the inspiring story of a couple from Surigao whose dreams of getting married was put on hold because of a devastating accident. “ASAP Natin ‘To!” fulfills their wedding dream by getting them married live on air this Sunday with “ASAP Natin ‘To!” stars Gary Valenciano, Piolo Pascual, Sarah Geronimo, Daniel Padilla, Ogie Alcasid, Moira, Luis Manzano, Ms. Regine Velasquez-Alcasid, and other “ASAP Natin ‘To!” Kapamilya stars. Meanwhile, Iñigo Pascual’s viral hit “Dahil Sa’yo,” celebrates music and life among Kapamilyas along with the Zumbalolas from Cebu, the dancing jail warden from Iwahig, Puerto Princesa, Palawan who will jam with Iñigo, Darren Espanto, Jeremy Glinoga, Kyle Echarri and Mayward’s MayMay Entrata and Edward Barbers. Sarah Geronimo sits down with the fathers of the TNT boys, composed of Mackie Empuerto, Francis Concepcion, and Keifer Sanchez to get to know their dreams for their children. The fathers share how much they love the boys no matter what. Watch out too for the exciting singing collaboration from Sarah and the TNT Boys. Viewers also get to meet three Kapamilyas whose lives were touched by the talent of Asia’s songbird, Ms. Regine Velasquez-Alcasid: a girl whose father idolizes Regine so much that he did the same training of partly submerging his daughter inside a drum full of water while singing to strengthen her lungs and vocal power; a promodizer who never tires of singing Regine’s songs; and a power belter from Dubai who made her dreams come true with her own renditions of Regine’s songs. Also this Sunday, the much-awaited collaboration between Regine and the country’s singing champions Angeline Quinto, KZ Tandingan, Jona, Frenchie Dy, Elha Nympha, Janine Berdin, Jed Madela, Marcelito Pomoy, Jason Dy, Mitoy Yonting, Noven Belleza, and Erik Santos lights up the stage. Plus, for the very first time, catch the exciting team up of Ms. Regine Velasquez-Alcasid and Sarah Geronimo on the “ASAP Natin ‘To!” stage. Catch all these and more in “ASAP Natin ‘To!” this Sunday (November 18), 12:00 PM on ABS-CBN and ABS-CBN HD. 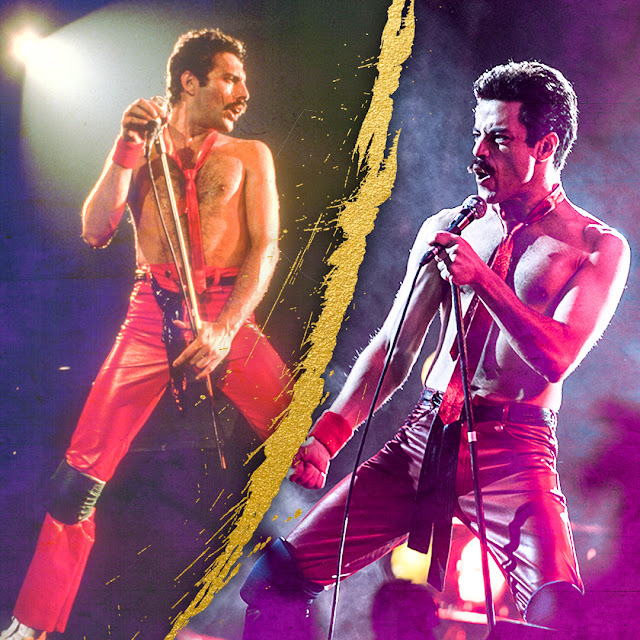 Watch online via iwantv.com.ph and skyondemand.com.ph. For updates on the program, follow @ASAPOfficial on Facebook and Twitter. For updates, follow @abscbnpr on Facebook, Twitter, and Instagram or visit www.abscbnpr.com.